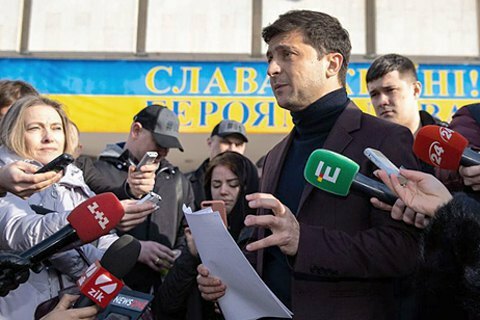 The HQ of Ukrainian comedian and presidential election frontrunner Volodymyr Zelenskyy is planning to hold a parallel vote count on election day, 31 March. "We will keep a parallel vote count and broadcast it online," Zelenskyy's team said on Facebook. The official results of the first round of the presidential election should be announced within 10 days after voting, that is by 10 April, while preliminary results could become available in the early hours of 1 April, it said. The Central Electoral Commission's official report will be published in the state-owned newspapers Holos Ukrayiny and Uryadovyy Kuryer on 13 April.